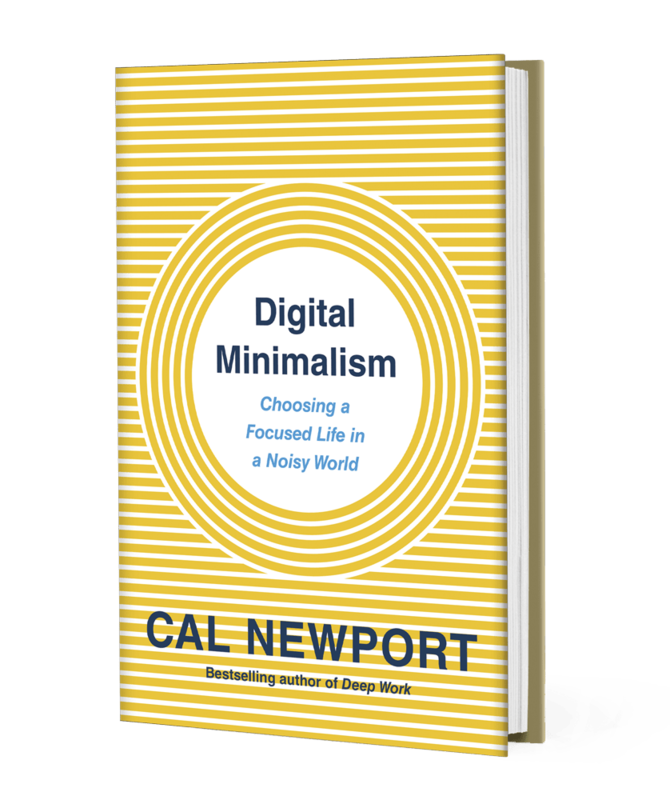 Cal Newport’s new book, Digital Minimalism: Choose a Focused Life in a Noisy World, builds on his previous work of offering arguments as to why we should moderate our use of technologies. Newport, a computer scientist at Georgetown University, stitches together the ways that we open ourselves to constant distractions. And as a result, we are ill-suited to perform well in our lives. The ability to focus and do “deep work” is the more valuable today than IQ, according to Newport. Learn more about the book and Cal at his website here. And listen to is interview on WBUR here. Originally published here: Insidesources.com – Posted to Technology March 26, 2015 by Britt Christensen, Ph.D.
During the previous 10 years, conflicts and sociopolitical instability of different types touched nearly every corner of the world. New communication technologies are at the center of the discussion regarding strategy, policy and outcomes of these conflicts. With the assistance of camera-phones, the civil war in Syria could very well be the most documented war of all time. ISIS is demonstrating technological sophistication by using social media to gain supporters and recruits. On December 17, 2010, police in Tunisia confiscated a vegetable cart from jobless, college-educated Tunisian citizen, Muhamed Bouazizi, who subsequently set himself on fire in protest. Since then, a wave of violent and nonviolent regime change has taken down Egypt’s Mubarak, Libya’s Gaddafi, and Tunisia’s Ben Ali, while still threatening others. What these activities in diverse environments demonstrate is that new information and communication technologies (ICTs) and social media are now an integral part of protest movements and violent conflicts around the globe. But we are only starting to learn about the role of ICTs on sociopolitical engagement and activism. Theoretically, these technologies allow the citizenry to create and acquire information outside of state-controlled media. Governments try to control online activity, but savvy users can circumvent the authorities, eroding the regime’s chokehold on public discourse. One of the more prominent debates about the complex relationship of new ICTs and activism during the Arab Spring sprang from discussions between Clay Shirky and Evgeny Morozov. Shirky, a technological optimist, provided numerous examples of social media and communication technologies enabling quick and decisive political action. For example, Filipino citizens using text messaging to help spur mass protests to bring down Philippine President Joseph Estrada as far back as 2001. But Morozov illuminated numerous problems regarding the democratizing force of communication technologies. He pointed to the failed Green Revolution in Iran in 2009, which many in the West deemed the “Twitter Revolution,” as an example of not only the limited capacity of communication technologies to usher in change, but also the dangers with which the technologies can be used against the protesters when the resistance fails. Governments are increasingly savvy at surveillance, censorship, producing propaganda, and digitally tracking dissenters. He warned against “technological determinism,” the certainty that technologies forge political, social, and cultural changes. In my recently-completed dissertation, I tested the theoretical propositions set forth by Shirky, Morozov, and many other scholars, including Dr. Erica Chenoweth, at the Josef Korbel School of International Studies at the University of Denver, and Dr. Jacob Groshek at the Emerging Media Studies Division at Boston University. Using cross-national panel data from 1990-2012, I examined the relationships among sociopolitical instability, major intrastate conflicts, democracy levels, and media and new ICT penetration rates and press freedoms. My results suggested several compelling conclusions. First, countries with higher rates of Internet and cell-phone penetration are more likely to experience nonviolent conflict compared to violent conflict and to have higher levels of institutionalized democracy. Similarly, higher levels of press freedoms were strong predictors of sociopolitical stability, nonviolent conflict over violent conflict, and increased levels of institutionalized democracy. Second, Internet and cell-phone use strongly related to increased occurrences of anti-government demonstrations but also purges and government crackdowns on political opposition. These results add insight into whether dissenters or governments use new ICTs alternatively to organize or suppress opposition. In fact, both sides of the argument deserve credit. New ICTs were related to higher instances of anti-government organization and instances of government crackdowns. These findings confirm the intuition that technology now plays a central role in the dynamics of political change. There is strong evidence that new ICTs are democratizing influences. They appear to be highly related to regime-challenging nonviolent conflict, which is quicker, more effective, and more likely to lead to democracy than violent conflict. This reinforces the understood concept that freedom of speech and expression help societies deliberate their futures. While, to some, freedom of expression is a “western value,” it is nonetheless positively related to democracy, and to nonviolent rather than to violent conflict. And ample experience and research demonstrates that this type of stability is a key to long-term peace and prosperity. In this way, ICTs help contribute to prosperous and peaceful societies. These findings should be of interest to researchers, democracy and civil rights advocates, and policymakers. Supporting authoritarian governments that control the media and new ICT systems in a country may appeal to some people who opt for short-term stability over freedom of speech and democratic rights. But ICTs are making that an ever-more difficult and unproductive task. In the long run, the goal must be longer-lasting peace and development. The Internet, social media, and mobile devices have upped the stakes for both protesters and authoritarian regimes and must be taken into account when making policy towards them. Originally published here: Insidesources.com– Posted to Energy February 26, 2015 by Britt Christensen, Ph.D.
A recent study by researchers Erik Nisbet, Kathryn Cooper, and R. Kelly Garrett from Ohio State University found evidence that, depending on the issue, liberals and conservatives were similarly likely to distrust science. The distrust by the liberal and conservative groups was higher when the issues were politically charged. These issues included climate change, evolution (liberals more likely to trust science), and fracking, nuclear power (conservatives more likely to trust science). The researchers pointed to the media as one of the factors that likely politicizes these debates, and as a result, harms scientific progress related to educating the public. Global warming is one of the most hotly debated political issues in the US today. Issues stemming from global warming range from national investments in alternative energy sources, where and whether or not to drill for oil, and increased tax rates for companies that consume high levels of fossil fuels. Among politicians, these issues typically fall along partisan lines. Democrats are more likely to favor investing government funds in alternative energy, restricting increased oil drilling, and taxing companies for fossil fuel consumption while Republicans are more likely oppose these things. In the August 2011 edition of the Journal of Communication, Xiaoquan Zhao of George Mason University, Anthony A. Leiserowitz of Yale University, Edward W. Maibach of George Mason University, and Connie Roser-Renouf of George Mason University conducted a study regarding media consumption habits and global warming perceptions. The results of their study support the notion that politicians and the news media have contributed to making global warming a partisan issue. The study consisted of online panel survey data of 2,164 U.S. residents age 18 and older. The respondents indicated on a scale from 1 (not at all) to 4 (very closely) to what kind of news they paid attention. Categories that indicated that the respondents paid attention to political news were national politics, state politics, and local politics. The categories the environment and science and technology indicated that the respondents paid attention to science and environment news. In order to gauge science-based beliefs, the researchers asked respondents about their certainty that global warming is occurring, perceived human cause, and perceived scientific agreement over the issue. They also asked respondents about their perceived risk of global warming (happening now, harm you personally, impacts over the next 20 years), as well as their level of support for emission reducing policies. In addition, political ideology, religiosity, and demographics were part of the analysis. They found that individuals who paid attention to science/environment news possessed views in-line with science-based beliefs. That is, people who consumed science/environment news perceived global warming as a valid threat supported by evidence from the scientific community. Conversely, individuals who paid attention to political news viewed global warming as a matter of debate, of lower risk, and had fewer views based on scientific beliefs. The researchers attribute part of the reason for the divide to the notion that scientific/environmental journalists are becoming more educated regarding scientific facts of global warming. The vast majority of scientific research supports claims that global warming is occurring and that consumption of carbon by humans exacerbates the problem. As such, individuals who consume science-based news possess views more closely related to the scientific community pertaining to global warming. Global warming is a distinctive issue because the effects are gradual and not yet apparent to a lot of people. In general, the American public thinks the urgency of global warming is overstated. The media is essential in disseminating information about uniquely complicated issues like global warming, and vibrant public discourse depends on accurate information. It is possible that political news journalists and reporters adherence to objectivity has something to do with the divergent opinions from the individuals that consume this news. If an issue is presented as partisan by politicians, then journalists likely feel obligated to report both sides of the story, even if facts are present that rebut one of the sides (think about the “birther” and “death panels” issues). A common assumption in political communication scholarship is that politically engaged individuals who consume public affairs news possess higher levels of political knowledge. This study lends itself to the argument that not all news is equal, and that the type of news an individual pays attention to reflects that individuals’ knowledge regarding issues. 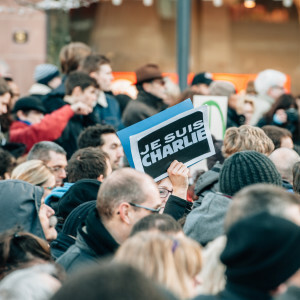 The recent tragedy at the Paris-based satire publication Charlie Hebdo thrust the issue of freedom of expression to the forefront of international debate. There was an outpouring of people adamantly defending free speech as a foundational principle to a healthy and free society. Much of the debate focused on the intersection between media law and media ethics. That is, just because it is legal to express certain ideas, should all material, including material intended to mock religious beliefs, be published and celebrated? Many advocates of free speech put forth their arguments as common sense; along the lines that obviously freedom of expression is important because, well, because it is. This begs the question, why is freedom of expression important? Moreover, are there data supporting the theoretical benefits of free speech? Setting aside the nuanced and complex arguments of freedom of expression in our increasingly interconnected societies (which are indeed complex), I focus here on what we know about impacts of free speech and why it is important. There is evidence that freedom of expression protections are positively related to increased economic growth, democracy levels, sociopolitical stability, and nonviolent methods of conflict compared to violent methods. Political communication researchers have long deemed a free and developed media system as democratically essential. In a democratic society, informed and engaged individuals weigh-in on societal affairs, making a free press instrumental. By and large, educating the public on matters of social and political concern falls to the media. Freedom of expression contributes to the “marketplace of ideas,” a concept popularized by John Stuart Mill. Ideally, allowing individuals to voice diverse and even controversial ideas and opinions leads to desirable and vetted sociopolitical solutions. This permits people to air their grievances and works as a pressure release valve, helping to curb violent uprising by the population. The freedoms of the press propositions closely link media freedoms with democracy development, as well as sociopolitical stability. In a 2014 World Bank research project, Sanjukta Roy found that in Sub-Sahara Africa, developed media systems that maintained higher levels of press freedoms linked to lower levels of political risk. In other words, countries that have freer media are less likely to experience violent political uprisings and transitions. In my dissertation research (forthcoming publication), I found that higher levels of press freedoms were strong predictors of sociopolitical stability across countries from 1980-2012 using the Freedom House press ratings. In a 2008 UNESCO special report on press freedom and development, Gusevea et. al discovered relationships between press freedoms, militarization, (in)stability and violence. They found that press freedoms were more restricted in countries that spent more on military (the US an obvious outlier here). They also found that in countries that experienced more violence, journalists were more likely to be in danger, which influenced the media environment. “Generally speaking, in a State where public discussion exists and the media can deal freely with the problems of society, large-scale violence is not tolerated,” stated Gusevea et. al. When a country does experience major conflict, such as civil wars or major regime-challenging protests, press freedoms are more closely associated with nonviolent conflict compared to violent conflict. I found that when comparing instances of major nonviolent conflict (think Tunisia protests during Arab Spring) and violent conflict (think Syrian civil war), higher levels of press freedoms were strong predictors of nonviolent conflict over violent conflict. These findings add data driven support for the pressure release valve function of free speech. If people are able to express their grievances, then governments can respond. If the governments do not respond, and the common grievances hit a popular chord, then the prospects for popular nonviolent organization and mobilization increase. Peaceful political change is much more likely within countries that allow free speech. Freedom of expression contributes to holding the government accountable. A free press can expose political corruption, follow up on campaign promises, and report on policy performance. The systemic flexibility of democracies discourages sociopolitical instabilityand has a positive and significant impact on economic progress, which contributes to continued stability. Researchers Abdullah Alam and Syed Zulfiqar Ali Shah, found that press freedoms contributed to economic growth in a country, and that economically developing countries increasingly implement press freedoms. “This bidirectional relationship indicates that freedom of press plays a vital role in the development of the economy and the reverse relationship points out that an economically growing country implements additional press freedoms,” stated Alam & Shah. The research discussed here highlights the numerous benefits of freedom of expression within societies at the aggregate level. Free flowing ideas and debates contribute to creativity, innovation, education, and cultural evolution. In our interconnected globalized world, freedom of expression can and will cause cultural conflicts. The Paris attacks were a startling display of the potentially negative impacts of ideological clashes over free speech. Many of the world leaders who restrict free speech in their own countries stood in solidarity condemning terrorism as a way of reacting to expression that offends. There will be immense growing pains on a global scale as the world continues to wrestle with these issues. Nevertheless, if freedom of expression is protected and championed then the long-term societal benefits will be tremendous. Posted to Technology January 29, 2015 by Britt Christensen, Ph.D.
One of the main focal points surrounding the recent US-Cuba diplomatic discussions has been increasing Internet and mobile phone access among the Cuban population. Around 25 percent of the Cuban population has access to the Internet, which is under strict surveillance and regulation by the government. President Obama named new technological development one of his key ingredients of a successful recipe for new relations between the two countries. New information and communication technologies (new ICTs) such as the Internet and mobile phones are considered by many to be instruments of democratization. The abundance of information online and the speed with which individuals can acquire, produce, and share information provides the potential for information penetrating the public sphere that is different from the state controlled media messages handed down by most authoritarian regimes. While much of the focus regarding the impacts of new ICTs are democratic, the economic benefits of developing technological infrastructures in countries are numerous. These economic benefits are the driving factors for the Cuban and US governments to move past the longtime embargo. In the age of globalization, the economic advantages of technological development are too great for most authoritarian governments to ignore. Choosing isolation over technological development in a country increases the risk of falling behind economically. Developing new ICT infrastructure for economic purposes, however, increases communication outlets and flows, presenting the possibility of democratic political socialization. This is known as the dictator’s dilemma, and described by the researchers Christopher Kedzie and Janni Aragon, who note “…economic efficiency and political efficacy are positively related to each other, and negatively related to authoritarian control.” That is, loosening control over media systems for economic gains increases the chances of sociopolitical change. The dictator’s dilemma and the democratizing power of new ICTs have been popular topics among scholars and pundits, particularly relating to the protests and conflicts during the Arab Spring. But is there any empirical support for these phenomena? China is a country with a relatively vibrant Internet and mobile phone environment, but one that is heavily regulated and controlled by the government. Beginning in the 1990s, the Chinese media opened up to commercialization. Many experts thought that the introduction of capital into the Chinese media system would erode governmental control over content. Ya-Wen Lei, a Junior Fellow at the Society of Fellows at Harvard University, produced an article regarding the attitudes of Internet users in China. Lei’s article titled “The Political Consequences of the Rise of the Internet: Political Beliefs and Practices of Chinese Netizens,” appeared in the July-September 2011 edition of Political Communication. The term “Netizens” (Net Citizens) describes individuals who use the Internet as citizens of the world connected through the availability of the Internet. In an effort to empirically test the political beliefs of Chinese citizens, Lei used the 2007 China World Value Survey. The population of the 2007 China World Value Survey included 1,576 Chinese citizens between the ages 18-70. The researcher sought to distinguish the beliefs of netizens, traditional media users, and non-media consumers. Individuals who accessed information from the Internet within the previous week of the survey were categorized as netizens. The study measured two variables pertaining to political beliefs and one regarding collective action. Compared to traditional media users and non-media users, Chinese netizens were much more likely to be politically opinionated. Netizens in China were more likely to possess dissenting views, diverging from the traditional hegemonic political ideology in the country. “Specifically, they (netizens) are more likely to simultaneously embrace the norms of democracy, be more critical of the political conditions and the party-state, and be willing to engage in politics,” states Lei. In addition, netizens in China are more likely to have participated in collective political action. Lei contends that given the commercial and technological advantages provided by the Internet, Chinese political elites could not pass on the opportunity to adapt if China was to continue its rise in the international hierarchy. Confident in their ability to control and manipulate the traditional media, the Chinese government likely assumed they could successfully control the Internet. To be sure, the government in China is not likely at serious risk of overthrow by popular demand anytime soon. But the winds of societal change could be blowing. These changes in the Internet using population in China could provide a look at the forthcoming shifts in Cuba. The motivation of the US to open relations with Cuba, and Obama’s emphasis on increasing communication technologies, are likely more capitalistic than democratic. The US government does not require that a government be democratic in order to conduct business with it, as is evident by the historical record of close ties with and support of authoritarian governments by the United States. Nevertheless, a bi-product of increased access to the Internet and mobile phones in Cuba could very well contribute to raising democratic aspirations and collective action capabilities of Cuban citizens. Alway a good (re)read of Herman & Chomsky’s seminal work on systematizing propaganda research. Chapter available here. A propaganda model focuses on this inequality of wealth and power and its multilevel effects on mass-media interests and choices. It traces the routes by which money and power are able to filter out the news fit to print, marginalize dissent, and allow the government and dominant private interests to get their messages across to the public. The essential ingredients of our propaganda model, or set of news “filters,” fall under the following headings: (I) the size, concentrated ownership, owner wealth, and profit orientation of the dominant mass-media firms; (~) advertising as the primary income source of the mass media; (3) the reliance of the media on information provided by government, business, and “experts” funded and approved by these primary sources and agents of power; (4) “flak” as a means of disciplining the media; and (5) “anticommunism” as a national religion and control mechanism. These elements interact with and reinforce one another. The raw material of news must pass through successive filters, leaving only the cleansed residue fit to print. They fix the premises of discourse and interpretation, and the definition of what is newsworthy in the first place, and they explain the basis and operations of what amount to propaganda campaigns. Interesting and disturbing mediation on deepfakes, technology and international relations, from Foreign Affairs. Deepfakes are the product of recent advances in a form of artificial intelligence known as “deep learning,” in which sets of algorithms called “neural networks” learn to infer rules and replicate patterns by sifting through large data sets. (Google, for instance, has used this technique to develop powerful image-classification algorithms for its search engine.) Deepfakes emerge from a specific type of deep learning in which pairs of algorithms are pitted against each other in “generative adversarial networks,” or GANS.